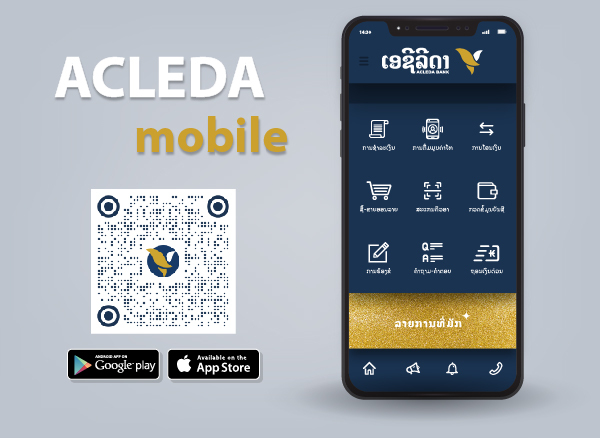 When you need third party to confirm your qualifications for any specific purpose like applying for visa from embassy, business registration, audition, etc., ACLEDA Bank Lao will do it for you. Bank Confirmation is a confirmed service ACLEDA Bank Lao issues the financial information for personal or business customers such as savings-deposit account balance, credit line, etc. who have used the bank’s products and services in reference to their balance or any certain amount at specified date in the past or present they requested. The fee of Bank Confirmation Service is LAK70,000, USD10 and THB300 per issue.